Helena Veterinary Clinic wants you to know that here in Helena - flea, tick, heartworm & other worm and parasite control is a year-round problem and prevention is a necessity for keeping your pets safe and comfortable. 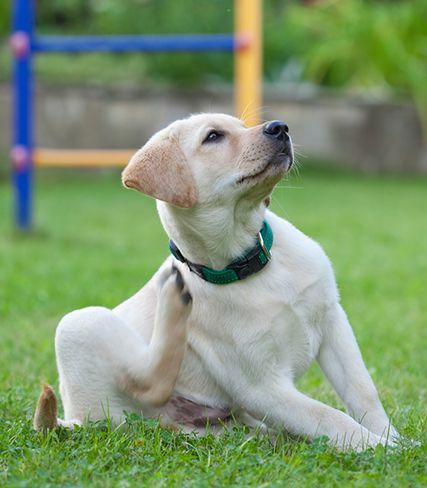 Parasites are not just a nuisance to you and your pets - some may cause serious illness in your pets and even your family and even can be fatal for pets. Helena Veterinary Clinic has safe, effective products available that cater to you and your pet's lifestyle and budget. Heartworm prevention should be provided 12 months of the year - we have an option for an injection every six months to help you with not having to remember to administer monthly. Parasites are not just a nuisance. They can carry serious diseases that affect your pet’s overall health and longevity. Let us help you protect your pet. Call 205-236-0500 today to find out how!